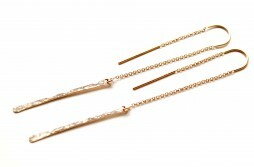 Long threader earrings in sterling silver, Handmade bar threaders, 83 mm long. 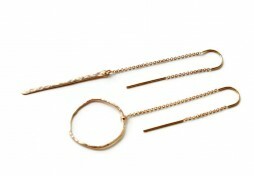 U top, box chain threaders and hammered sterling silver bars. 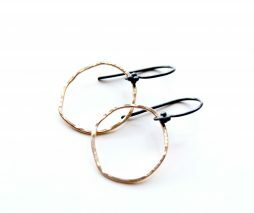 Modern hoops organic shape, mixed metal earrings in gold filled and oxidized silver. Hoops are about 3/4″ big, organic irregular shape. 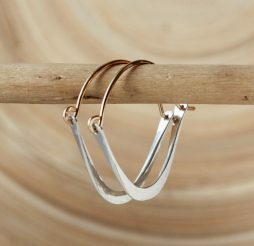 Organic double hoop earrings in gold filled and sterling silver, unique design artisan earrings. Women’s gifts for any occasion. 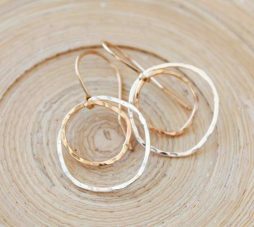 Hoops are made of organic shape hammered hoops – one silver and one gold, small and big, with sterling silver or gold filled ear-wires. 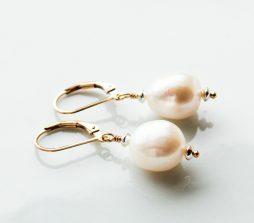 Length of earrings is 1.5″. Made to order.